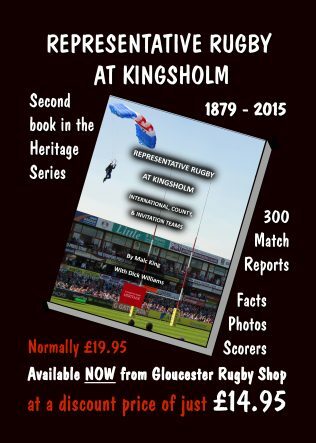 From the day that Kingsholm was opened it has been a popular venue for big matches and this book tells the story of representative rugby at the ground. We’ve recorded the details of International sides representing 21 different countries that have played at Kingsholm. We’ve included the County matches which for the best part of a century were the big matches of the season, with Gloucestershire enjoying unparalleled success. Touring sides have always been eager to include Kingsholm in their itineraries, and celebratory games brought invitational sides featuring many of the leading players of their era. These also feature prominently. 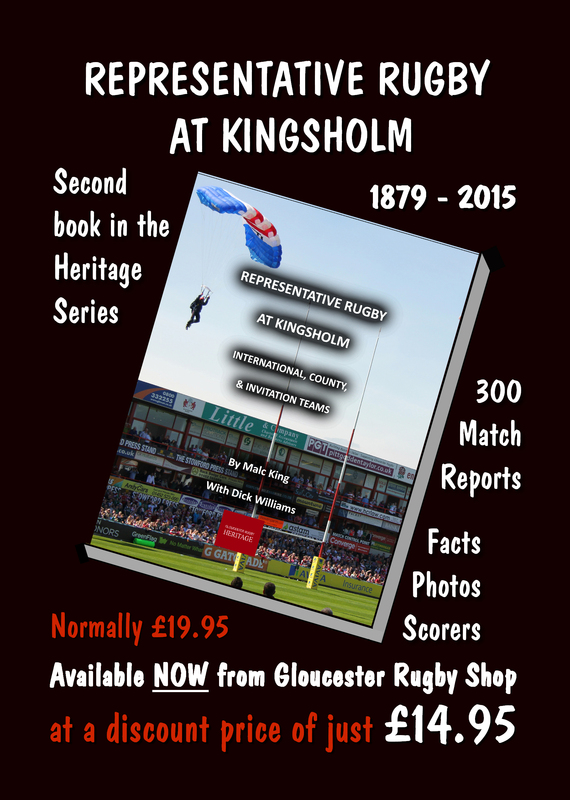 The richly illustrated book, produced by Gloucester Rugby Heritage, is for sale now at the Club Shop at Kingsholm and at The Quays, at a discount price that is aimed at allowing us, as a charity, to break even on the sales.